Maximize distance and improve control with Srixon’s Q-Star Golf Ball. 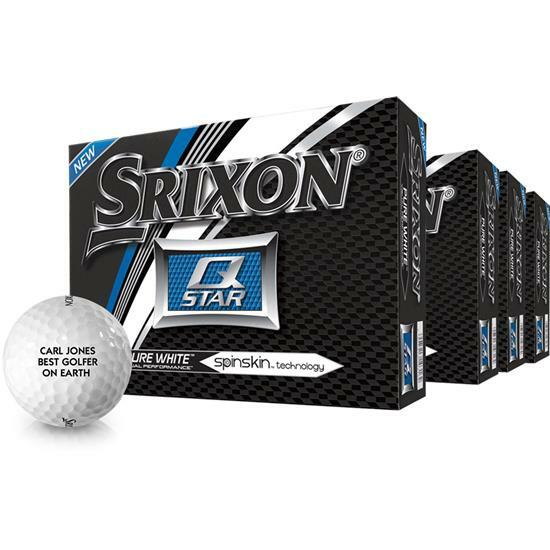 The Q-Star contains Srixon’s advanced ball engineering including the Spin Skin coating, energetic gradient growth core, and advanced ionomer cover for better performance around the course. 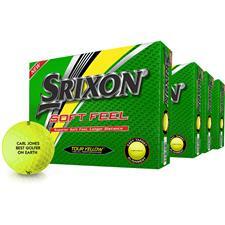 With this exclusive offer at Golfballs.com, get four dozen balls for the price of three. For exceptional performance, Srixon uses their Energetic Gradient Growth Core in the Q-Star 4’s 2-piece construction. More distance is possible through the cores variable thickness design while the ball’s overall low compression offers a soft feel. To improve accuracy, the Q-Star features Srixon’s Spin Skin™ coating for a controlled spin from the increased friction created at impact. For a more stable ball flight, the Q-Star uses a 324 Speed Dimple Pattern for a straight trajectory even in windy conditions. 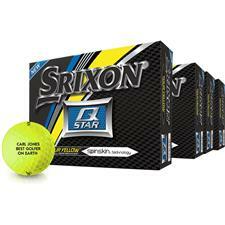 Four dozen Srixon Q star personalized and delivered for $96.00 is a great bargain. Ordered on Monday, and delivered on Friday as promised. And a great playable golf ball. First time customer,and I will be back. I run between an 11 and 15 handicap depending on the time of year and various course ratings. My typical score is low-to-mid 80's. I tried the Srixon Q-Star a few years ago and really like how it reacts to my game. Soft feel when hit, reasonable distance, and good control around the greens. The price also makes it an appealing ball to play. Give it a try. A great deal on really good golf balls. I bought these with ID Align and was very pleased with the delivered appearance. We do not have any specials on Volvik Vivid. We do sell club labels. These are 9.95 for a pack of 14 labels.